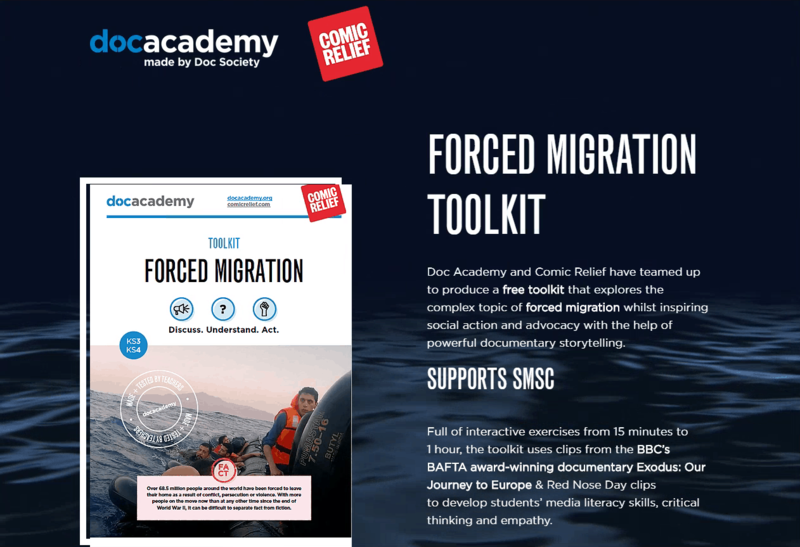 Doc Academy and Comic Relief have teamed up to produce a free toolkit exploring the topic of forced migration, available for use in classrooms and schools. The toolkit contains clips from the BBC documentary Exodus: Our Journey to Europe, along with Red Nose Day clips. It has been designed for use in the classroom, form and tutor groups, after-school groups and as part of assemblies and year-group projects.